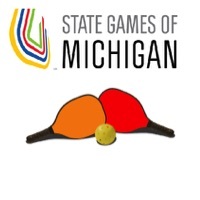 The Grand Rapids Pickleball Club thanks you for volunteering for the State Games of Michigan at Belknap Park, 30 Coldbrook Dr. NE, Grand Rapids, MI. With your help, the SGOM will be a successful tournament. We hope you enjoy the experience. If you would like to volunteer as a referee please go to the following link https://www.signupgenius.com/go/5080949a4a62ba6fc1-state; Bob Trout is the coordinator for referees.